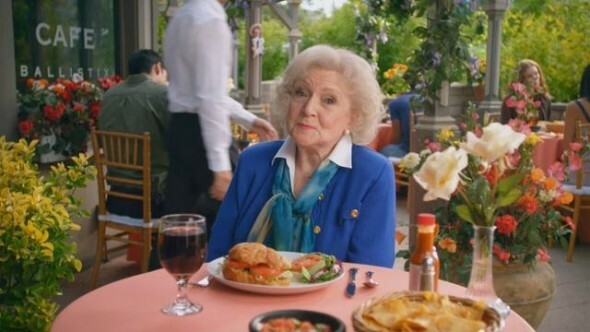 Veteran TV star Betty White’s new show got off to a great start in January. Following the special for her 90th birthday, Betty White’s Off Their Rockers registered an impressive 2.6 rating in the 18-49 demographic with 12.26 million viewers. Until The Voice came along, it was the highest-rated show of the peacock network’s 2011-12 season. Betty White’s Off Their Rockers finally returns to the schedule this Wednesday at 8pm. NBC supposedly has 12 episodes total for the show’s first season. If the hidden-camera series can attract a healthy percentage of the premiere’s ratings each week, it’ll certainly be back for a second season. UNIVERSAL CITY, Calif. – March 29, 2012 – Recently named the most liked Hollywood celebrity for the second straight year, seven-time Emmy Award winner Betty White brings her inimitable wit and charm to “Betty White’s Off Their Rockers,” an outrageously funny hidden camera series featuring audacious seniors pulling shocking, hilarious pranks on the younger generation. The series premieres Wednesday, April 4 (8:00-8:30 p.m. ET) on NBC. White stars in and executive produce the series, which delivers cleverly-crafted comedic stunts, candid moments and priceless reactions captured by hidden cameras. 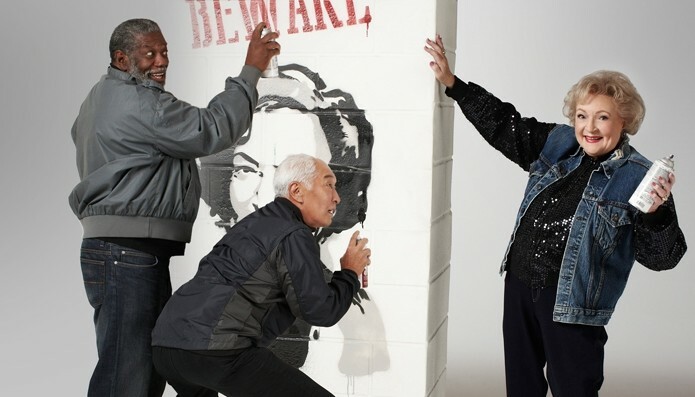 In the premiere, fearless seniors target unsuspecting young “marks” with their irreverent behavior, from pouring a late spouse’s ashes on a favorite park bench or writing up tickets for absurd, made-up violations, to asking strangers to watch a runaway motorized scooter or pretending to see a dead person who appears all too real. Other pranks include asking strangers to text shockingly inappropriate messages, a man taking matters into his own hands when he needs a tooth extracted and a hungover woman with a surprising occupation sharing far too much about her weekend in Las Vegas. Consistent with the fun, playful tone of White’s persona, the international version of the series has been sold to more than 20 countries and has received many awards worldwide. “Benidorm Bastards” won the 2011 International Emmy Award for Best Comedy Series, and swept the Rose d’Or Awards, winning the Best Comedy Award as well as the Golden Rose for Best Program of the entire competition. In addition, the show won Best Comedy Format at the 2010 FRAPA Format Awards. What do you think? 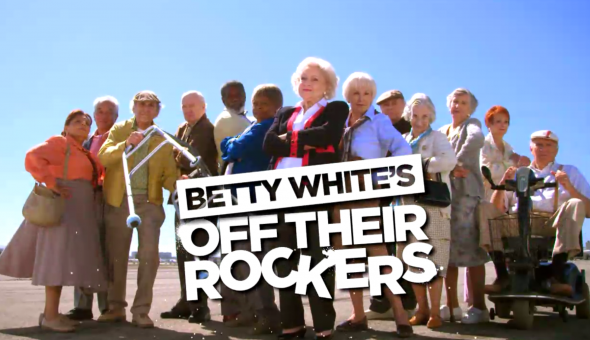 Will you be tuning in to watch Betty White’s Off Their Rockers each week? How do you think it will do opposite American Idol, The Middle, and Survivor? hiliarious show !! I laughed non stop. Please continue. luv it, luv it. Hillariously funny. Well executed by all the actors. Betty is a delight. Love the show. Don’t stop it, it reminds me of Candid Camera. Hysterically funny. I will watch as long as it is on. I just figure BBC will pit it up against too strong of competition and then cancel it instead of just going with it. Leave it alone and let us enjoy Betty and her friends. They are funny. I am sure Betty White will do fantastic, she is a very talented person. And yes I will be there to watch her, we all need a little laughter in our lives. You will be getting there soon enough, I think she is a wonderful person, and she is a trooper. Maybe a little jelous, I certainly think so. THIS A GREAT SHOW, IT’S THE FUNNIEST SHOW YET. IT’S CUTE TO SEE SENIORS DOING STUNTS ON YOUNGER PEOPLE. I GIVE IT 10 STARS. GO BETTY WHITE. hiliarious. I laughed non stop. I don’t usually like reality shows. Please don’t cancel this show. I didn’t know it was on until very late in the season. ( I was channel surfing, that’s how I found it.) It’s not mean spirited. I am 76 yrs old. One of my colleauges had a real life experience with her grandchildren, similar to Off their rockers. It too, was hiliarious and her grandchildren had to do a double take.